Earlier this month John Mason International was invited as special guest speakers at The Movers & Storers Show – the largest UK trade show for the removals and self-storage industry. Now in its 9th year, the two day event is attended by movers and storers of all sizes from across the world and has become one of the industry’s key events for thought leadership. As part of its seminar sessions, John Mason International was invited to speak about its predictions for the future in a session named: ‘Removals 2020: Predictions for the next few years’. During the session Simon Hood, Director at John Mason International also spoke about current issues such as Brexit, consumer behaviour and the impact of advancing technology. 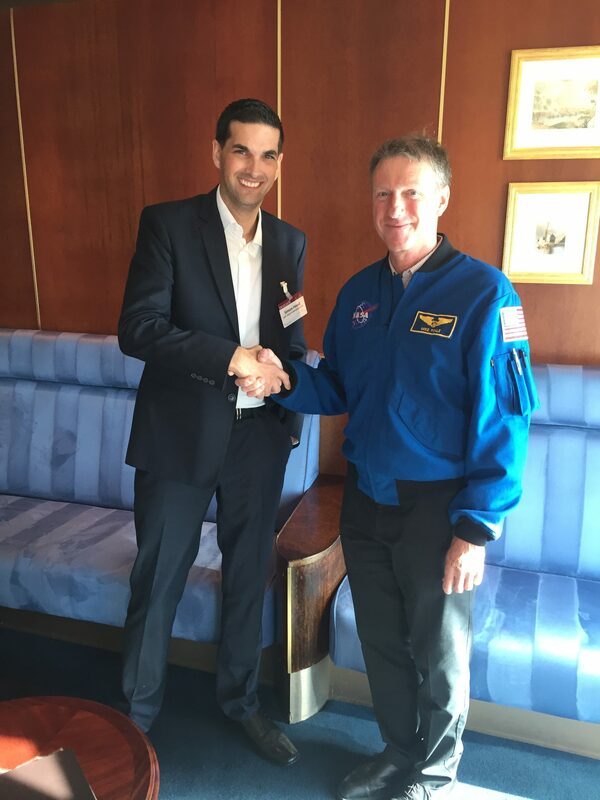 John Mason International’s Simon Hood with former NASA astronaut Michael Foale, CBE. The session proved popular with delegates, with Simon empathizing the need for the industry to start evolving. “Removal and shipping companies can no longer stand still, technology and the way consumers interact with it are constantly evolving. This year we have seen the growth of video technology to conduct surveys, allowing consumers to conduct home surveys 24/7 or even conduct surveys themselves. With augmented reality becoming more common and progression in technology hardware like Google glasses, the key message I wanted to get across is that the future happening is now”.